Having Combined experience with advanced mapping equipment we can help solve your property questions and produce insight. 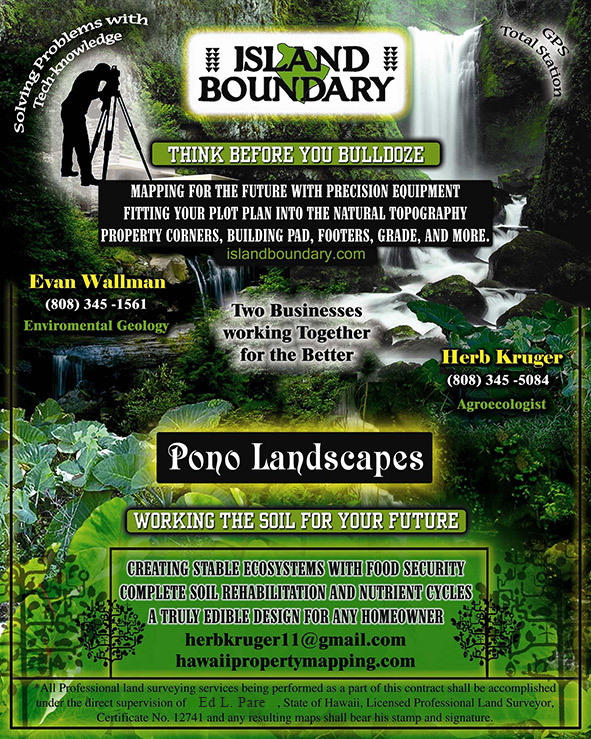 Based in Hawaii, Island Boundary has been a premier provider of land surveying services. To best answer all questions about your land we like to recover your corner pins and perform a line clearing on your lot. This allows us to produce an accurate plot plan so we can place your home in the best possible location, while saving your natural outcroppings and large trees. 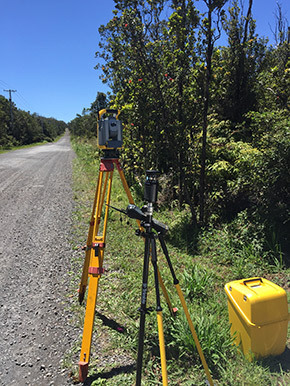 When it comes to land planning in Hawaii County, HI, it’s important to use a surveying company that understands the land, and works with it rather than against it. Island Boundary does just that, using the natural layout, outcroppings, native shrubs and existing trees to help you create a property design that maximizes the natural resources already available, minimizes bulldozing and other development processes that can irrevocably damage site and increases your property value permanently. On every job, Island Boundary performs an extensive block study. We make sure we recover the neighboring pins to ensure our work is viable. We offer highly detailed survey and ALTA maps and upon special request topographic maps that give you a clear picture of your commercial or residential property. Subdivision and Consolidation applications and maps are also a product we produce for properly zoned lots. We are a member of BNI-business networking international, and have weekly meetings that we encourage our clients to come to for any other professional services needed. Our methods create a future plan for your land that will suite your lifestyle. Our on-site services are available all throughout Hawaii. We have completed over 1,000 survey maps throughout Hawaii. Ariel cinematography is not to be used for commercial sales, but by private property owners only.